We have stayed at Ocean Splendor several times. Perfect spot for a laid back vacation for two. Access many beautiful hiking trails in the neighboring area. 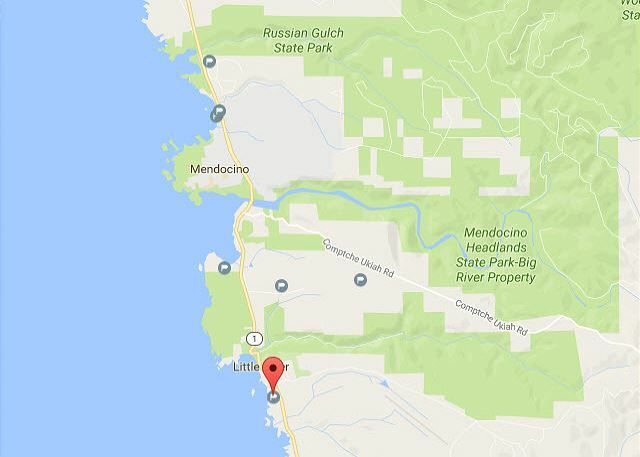 Great little restaurants in Albion, Little River, Mendocino, and Fort Bragg. The new hot tub is great! 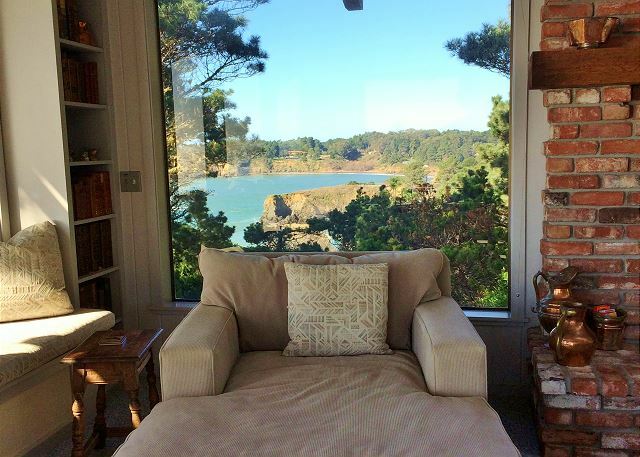 Our second stay at a Mendocino Preferred Vacation Rental this summer. 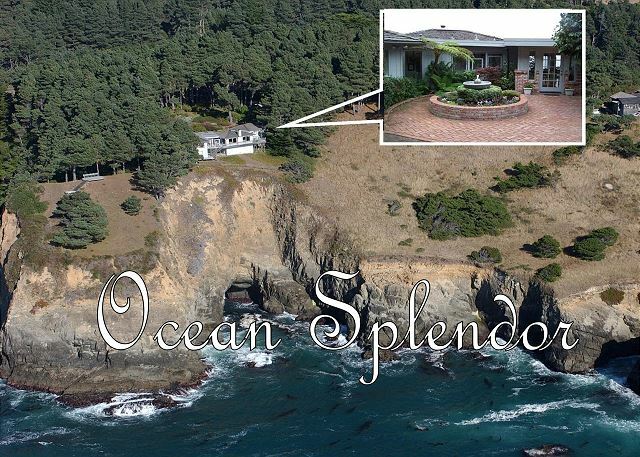 Ocean Splendor is the perfect home! Incredible views from ever room, a kitchen with everything needed to cook during your stay,and secluded for complete privacy. The perfect getaway for total rest and relaxation in the most comfortable setting imaginable. Don't miss this one! Wonderful, relaxing ambience. 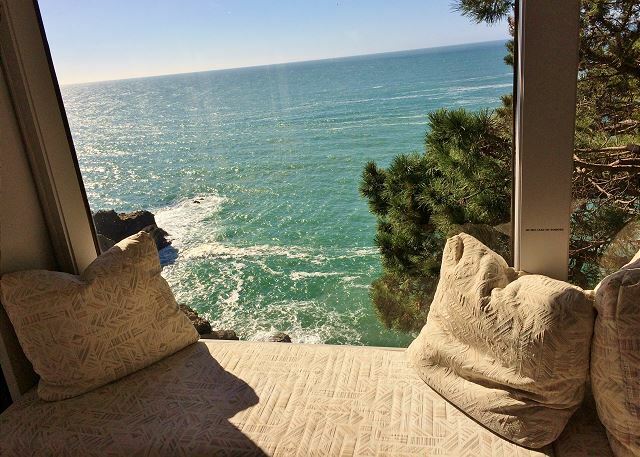 Loved curling up on the window seat to read and just gaze out at the beautiful ocean views. Usually, the pictures of the views from the property that are included on a rental listing are better than the real thing. Not this time. The real view is spectacular. The house is clean, comfortable, and well furnished. One thing had changed since our previous rental. The hot tub was set to a temperature of 100 degrees, which feels warm not hot, along with instructions not to try to change the temperature. Hi Lew, thank you for your review. 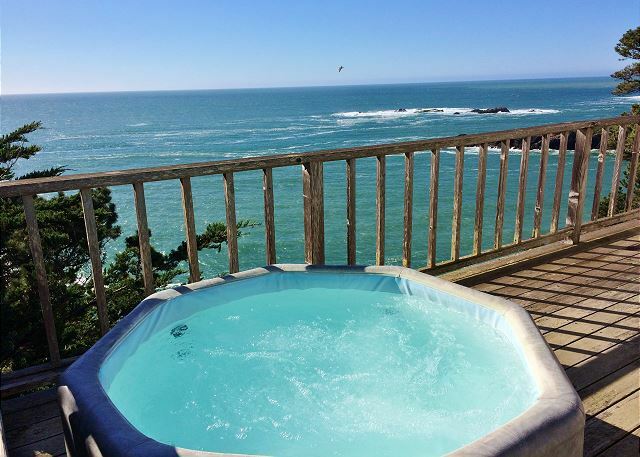 As it happens, we have actually ordered a new hot tub for Ocean Splendor but it hadn't arrived in time for your stay. We try our best to keep everything up-to-date, but unfortunately we were JUST shy in your case. 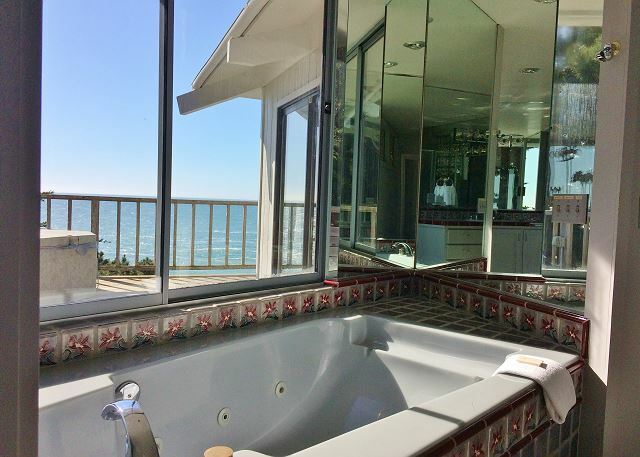 We're happy you enjoyed the rest of the property, and should you return to Ocean Splendor you will have a new tub to enjoy. Thanks again! We stayed at Ocean Splendor for our 10th anniversary, and could not have chosen a more perfect spot! The location is close to everything, and situated on the bluffs, it offered stunning views from everywhere in the house. We could hardly tear ourselves away. The house was immaculate and beautifully and very comfortably appointed. We felt cozy and very much at peace there. The rental process was easy, the staff was very professional and responsive, and our deposit was returned promptly. They even posted a personalized "Happy Anniversary" sign for us! This was undoubtedly one of our best vacation stays. Thank you!! It Wasn't Just Splendid it was Superlative! Everything and more than we expected. Million $ views from every inch of the home. Exceptional grounds. Lots of different styles of relaxing outside. First class furnishings in every room. Total privacy. No detail left unfinished. Mendocino Preferred Vacation Rentals were wonderful to work with and they do a magnificent job managing and maintaining the house. Impossible not to have a wonderful time, in whatever weather God grants us, in this rental. Extremely enjoyable week spent in Ocean Splendor. lovely house and location with great views. The view was amazing! 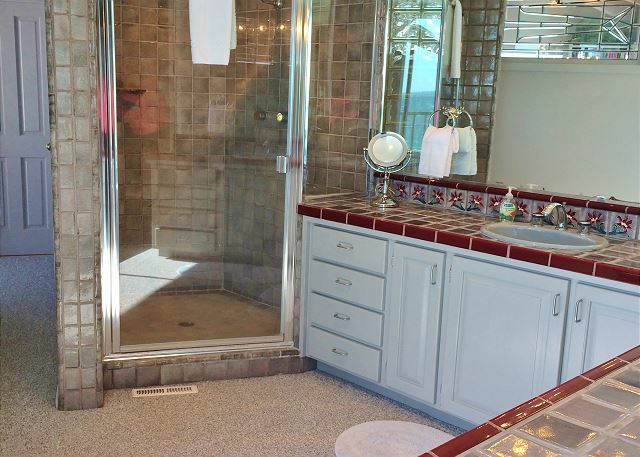 The home was beautiful with almost all the amenities you could ask for. We totally enjoyed our stay. We would have given it a 5, but for us, the lack of TV in the living area was a bummer. We are there on NFL playoff weekend and part of our time is generally spent watching a game or two. Otherwise, we couldn't have asked for a better location, beautiful, comfortable home and the most amazing views. 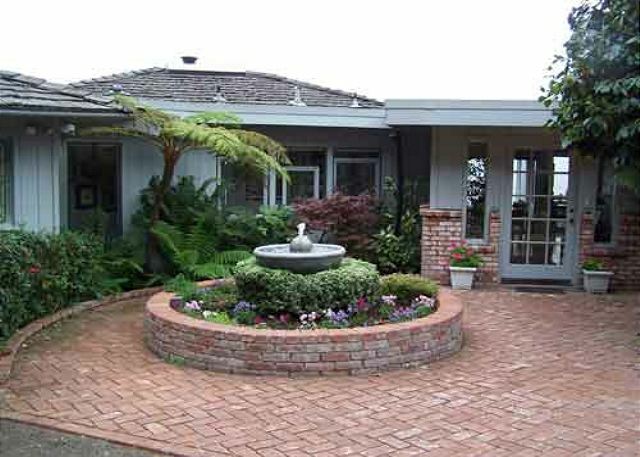 We have stayed at Mendocino Preferred properties every year for about the past 10 years and as always, the team is very pleasant and efficient to work with. Thank you. Have been to Ocean Splendor several times with each trip a renewed wonderful experience. The perfect truely relaxing oasis. BEAUTIFUL HOME! !VERY CLEAN VERY BEAUTIFUL VIEWS JUST WONDERFUL HOMEY COMFORTABLE HOME.THANK U WE WILL BE BACK!!! This was our fourth stay at Ocean Splendor. It is a special experience which is why we return. 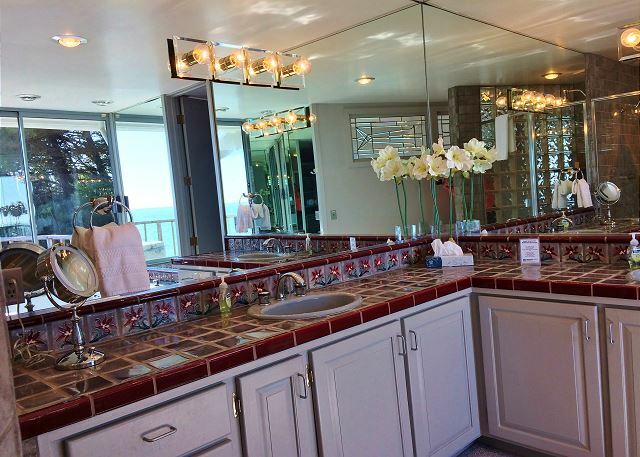 The views are spectacular, the home is comfortable and very private. A great place to relax and recharge. The staff at Mendocino Preferred are wonderful. 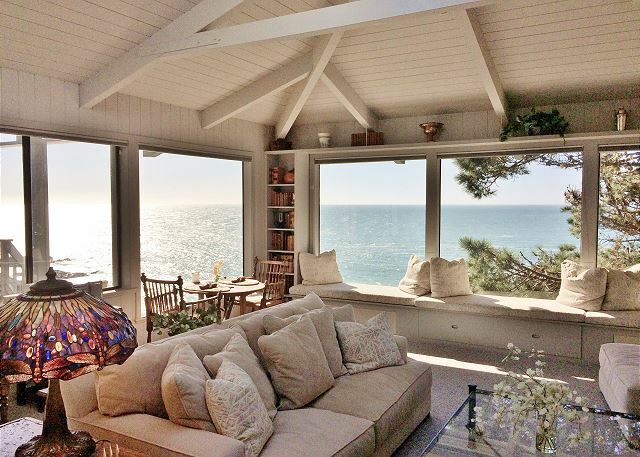 Beautiful home, private, secluded, views of the gorgeous coastline from every room. Home is very well equipped, all the comforts of home, plenty of books to read, firewood for the fireplaces, hot tub was perfect, everything was super clean, management company was very professional and easy to work with. Ocean Splendor was spectacular. My wife and I spent a long weekend there and had a wonderful time. The place is exactly as advertised. Secluded and private, while very close to town and outdoor activities. If you are looking for a romantic or just low key get away, it is perfect. Ocean Splendor made for a very special getaway for my husband and me. The setting and views are spectacular both from inside the home and on the outdoor deck and bench on the point. 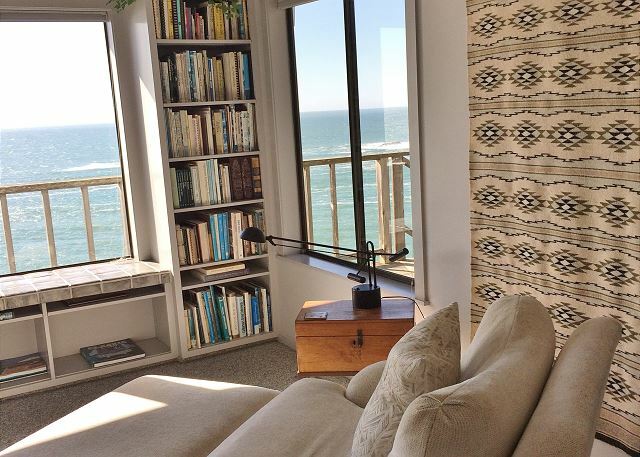 The home is very comfortable for those foggy days when you read a book, use the fireplace and look out over the ocean. The kitchen is well equipped for all types of cooking. The bedroom suite is spacious and well laid out but bring your sleep mask if you're a light sleeper because the sky light can wake you up in the morning It was fun having the outdoor hot tub and the deck with comfortable chairs to listen to the waves. The whole place is private and special, and we will definitely be back. We have been returning to Ocean Spendor for several years. This really is the ideal place for two people if you like 1)spectacular beauty 2) Beautiful home 3) cooking a few meals 4)great hiking 5) privacy 6) good nearby restaurants and wineries. Magnificent location with beautiful grounds and fabulous views. One might wish for living room TV, and taller people would like higher furniture, but otherwise perfect. Mendocino Preferred staff were wonderful in resolving WiFi problem with IT tech to house in 2 hours. One of the greatest vacations ever! Carl D from Bradenton, FL does not recommend this vacation rental. Ocean Splendor was a bit of paradise on earth. The home was perfect. The setting was inspirational. Everything was well thought out. Everything in the home was clean and worked. The scenery was spectacular. If it sounds as if i am exaggeration that is because of how wonderful a place this is. I/we recommend it for a complete 'getaway' vacation. This is our 6th stay in Ocean Splendor in the last 11 years, and obviously that says it all. We'll be back. . . it doesn't get any better than this. The property itself, management, views, privacy, and on and on it goes! Magnificent!! Twenty two years ago we celebrated out 25th anniversary in Mendocino at an unnamed resort. After returning for several years we began exploring many of the wonderful B&B's up and down the coast. 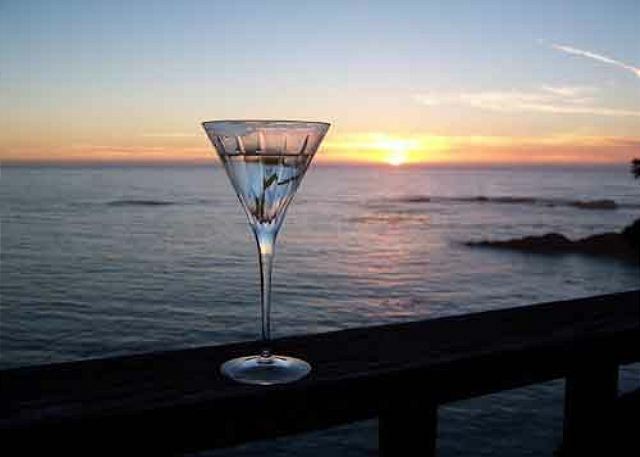 Six years ago we discovered Mendocino Preferred and have stayed in several of their properties. 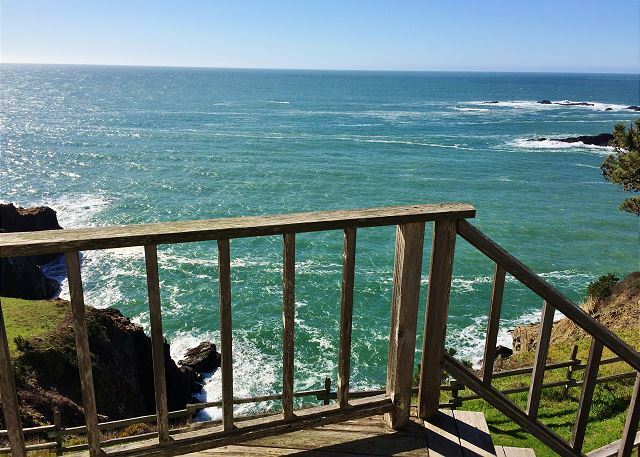 We no longer bother looking anywhere else when coming to stay in Mendocino. Never a disappointment. The "team" is a pleasure to deal with. 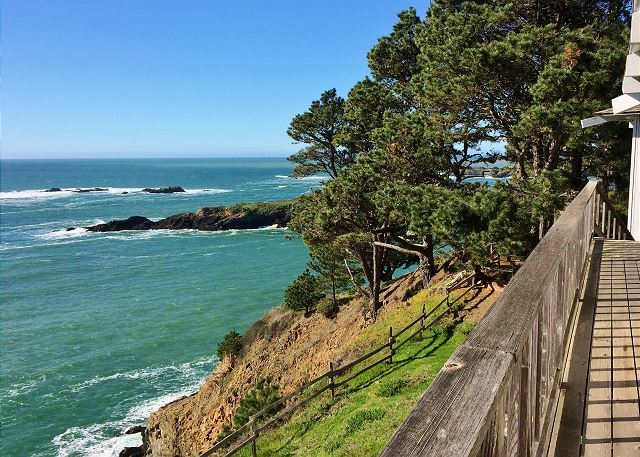 We look forward to many more "Romantic Memories" in Mendocino. We had the most flawless and wonderful experience. Everything was seemless from booking, to payment, to picking up the keys and locating the property, The property exceeded our high expectations. 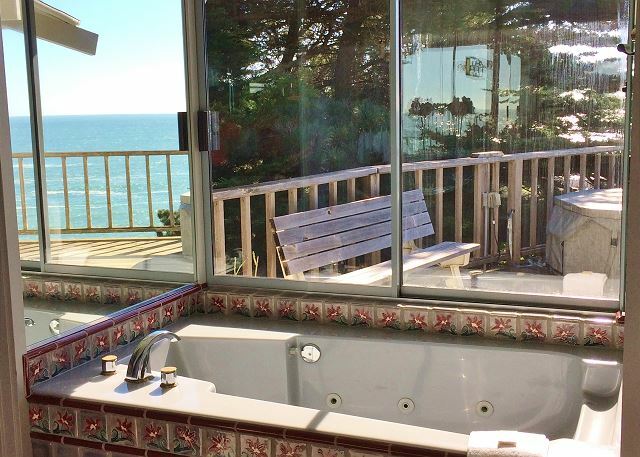 We will definitely give all of our business to Mendocino Preferred going forward and we will be booking this vacation home again soon! Second time at ocean Splendor. Never ate out, because house & views are so spectacular. Just wish the bed were a king, softer & not require a step stool to get in. Also that there were a tv in the living room & a modern sound system. Day 1: All we could say was, "Oh my goodness!" upon our arrival -- and then from off the top deck, we saw a pod of whales playing out in the distance. The seals were very content on the buoy. Day 2: The whales were still playing about and Scully came to visit during our morning coffee. We witnessed a hawk swoop in, successfully catching a squirrel just to the right of the end of the split rail fence. Later that afternoon, we also saw jelly fish in the cove below, to the right of the popular sea cave the kayakers like to paddle through. Day 3: "Bob" the banana slug was discovered out on the kitchen deck on a piece of firewood. Day 5: During our last leisurely breakfast we enjoyed seeing a red fox trot through the yard with its breakfast as well as 2 hawks who had made their catch of fish from the water below and fly overhead. We were grateful to have spent our first anniversary here. The privacy and serenity of Ocean Splendor is truly wonderful. We hope to return again! An ideal home in a perfect location. Just spent another wonderful week at Ocean Splendor. Everything was perfect. This home is very private, comfortable, and truly has spectacular views. Clearly a lot of love has gone into it, and everything was well maintained, with a couple of trivial exceptions. Didn't need to contact management because we didn't have any problems, but they were friendly and helpful. Janice and Mark F from Elk Grove, CA does not recommend this vacation rental. You already know we had a power outage. The generator didn't work because it was covered with a tarp and the emergency kit was soaking wet. The coffee pot needs to be replaced. Unless you are VERY careful, it overflows everywhere--which it did twice. The desk chair in the bedroom is filthy--fabric on the arms are coated with ??? Fabric on the bed frame looks pretty bad too. We rented this home 2 years ago and were so pleased we chose it this time. Now I'm worried about the future. What it does have is an incredible view and lovely furnishings. Our future with you depends on your response to this survey. Hello and thank you for your review. We sincerely apologize that your experience was substandard, but we do very much appreciate that you took the time to let us know about it. 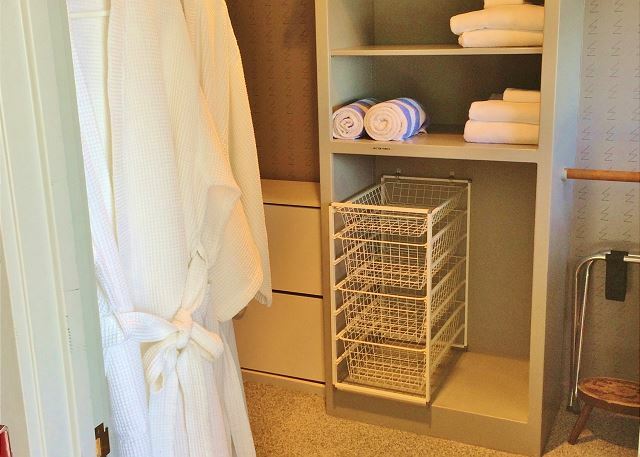 The state of our homes and the comfort of our guests are absolutely primary to us, and we can assure you we’ve taken immediate steps to remedy the issues you had on your stay. The coffee maker has been replaced, and we have arranged for a cleaning team to clean the upholstery. The state of your emergency kit was completely unacceptable and has been addressed with our staff. We have our generators serviced annually and, while we were fortunately able to get it fixed during your stay, we must apologize again for the inconvenience. These sorts of issues are the absolute last thing we want our guests to be concerned with on their vacations. We have high standards and when they aren’t met we take it very seriously. Thank you again for providing us with your feedback and we hope you come stay with us again. Perfect honeymoon home with amazing views!! Loved the turkeys and deer in the meadow too! It is always such a wonderful retreat and the location is perfect. Ocean Splendor is aptly named! From the initial rental to checkout we enjoyed every minute of the stay. The home is gated so privacy is ensured. The grounds are absolutely beautiful and help relieve any stress you made have had getting to Little River. 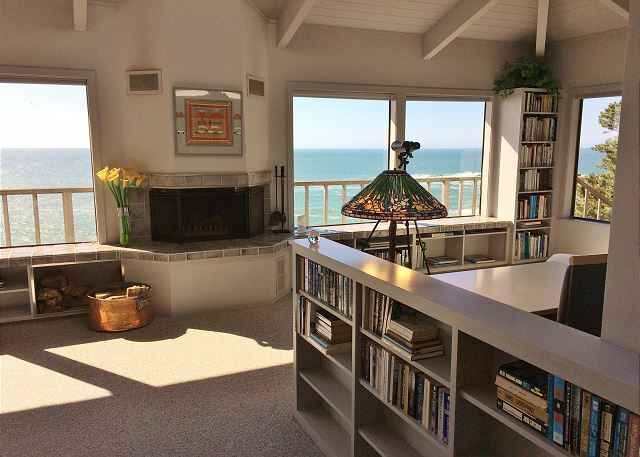 The views are breathtaking from inside and on the multiple decks. The spa is secluded and also allows for a wonderful view of the ocean. The birds and wildlife were so much fun to observe. The home is beautifully furnished and has two fireplaces which were ready to light when we arrived. Hearing and seeing the ocean while having a roaring fire was heavenly. The kitchen is well equipped and a joy in which to cook. Since we enjoy staying put we normally do most of our own cooking and only go out a few times during the week. A herb garden is located right outside the kitchen in a wooden planter. We love the raised bed as it makes ocean viewing wonderful. It is a bit of a leap but there is a small stool should you need it. Overall this is by far the nicest property we have found on the North Coast. This was our third visit to Ocean Splendor to celebrate our anniversary and each time has been wonderful. The magnificent setting and views of the cliffs and ocean; the quiet and privacy; the beautiful way the property is maintained; and, the comfort of the house itself. We hope to celebrate again in this magical place. Loved it; we shall return for sure. Views are spectacular. Only small issue: most outside lights, including the one at the gate, were not operating (bulbs out I guess) & it's very dark at night. There really aren't enough words to describe our stay at Ocean Splendor in Little River. As we pulled up to the private gated property on a small hilltop over the coast we were already in awe and we hadn't a clue what awaited us on the other side. As we pulled in we were astonished and amazed with the gardens, the beautiful house and most notably, the peaceful solitude that was all ours. And we had only caught a glimpse of the ocean so far from the Beautiful glass windows of the Foyer and Dining Room on the other side. The house design itself was simply perfect and there are awesome views awaiting you in practically every room. The furnishings are the greatest combination of class, character and charm. The owners have obviously left their spirit here and are sharing with the folks who visit, that is very apparent. The kitchen is terrific, we cooked and had a great time staying "home" and loving every minute of it. I marveled as I did some dishes at the sink because I had the most amazing view a kitchen could offer as I did. 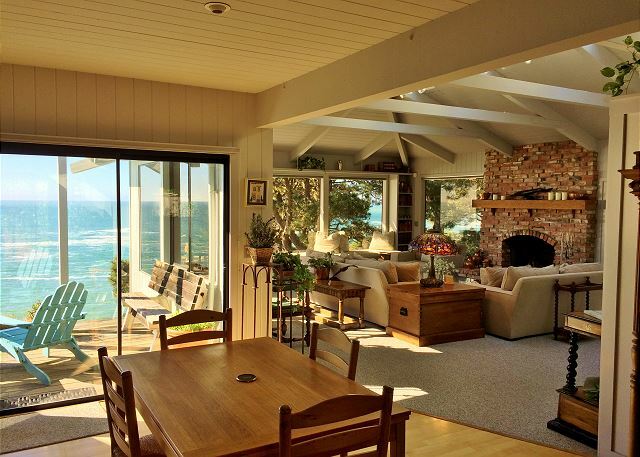 The Living Room is almost all glass with 270 degree views of Little River cove and the Pacific on the other sides. AMAZING! 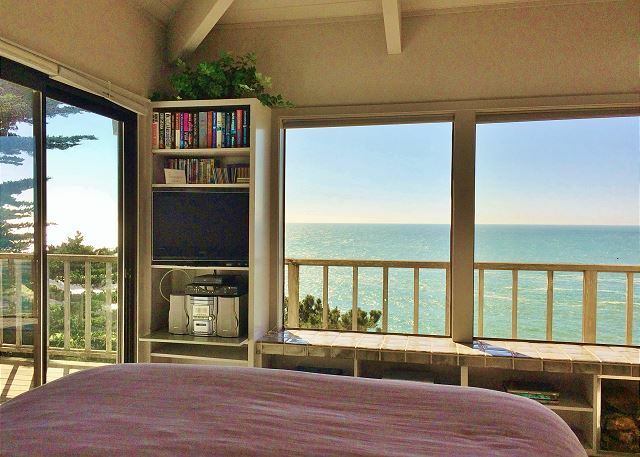 We could rent the Bedroom by itself and be happy with the stunning views and Ocean sounds lulling us to sleep and greeting us as we awoke. With all that said, it is the outside that truly takes your breath away with very thoughtfully placed decks either up in quiet solitude in the Upper Gardens or the raised platforms on a spit of land that kept us pinching ourselves to make sure it was real and we weren't dreaming. We now have all year to dream about our next Ocean Splendor getaway and you better believe this place is every single penny we'll be saving to stay for as long as possible next year for our 3rd Anniversary. We have stayed at Ocean Splendor many times. 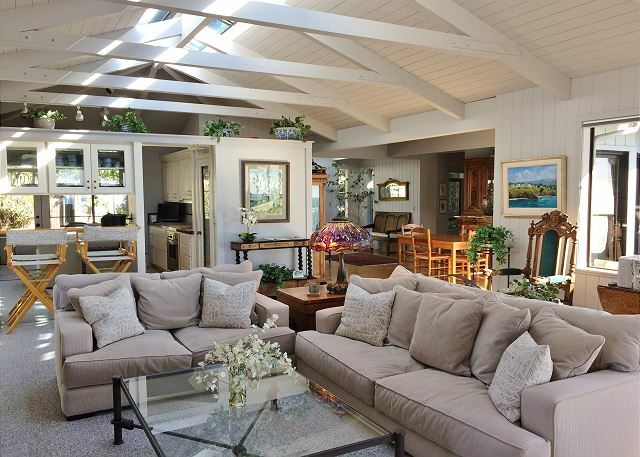 The property is magnificent -- peacefully secluded from Route 1, beautifully landscaped, on the very edge of the Pacific with ocean views that you must experience to appreciate. 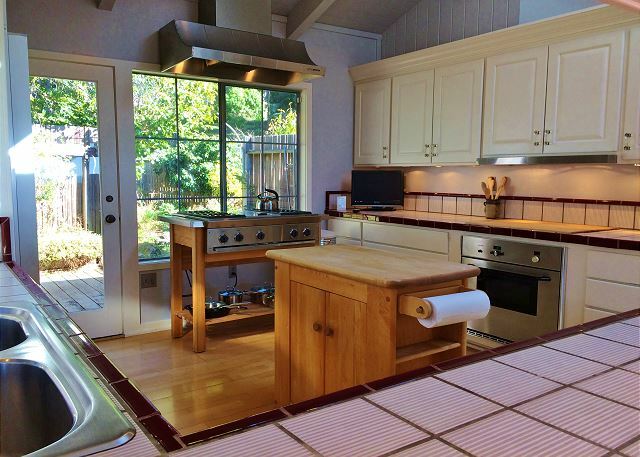 The home is well kept with a gourmet kitchen. Outside hot tub to enjoy anytime, especially under the stars at night. Two romantic wood burning fireplaces -- bedroom & living room. And, two TVs - bedroom & kitchen, for the husband who just can't miss keeping up with the world while on vacation! Best of the best. We will be staying here again & have recommended to all of our friends. A breathtaking view from every room. Private, peaceful and secluded, an exceptional property. We recently spent one week at Ocean Splendor. This was our third stay at the property. I am afraid to say how beautiful this place is, for fear it will become too popular and it will be impossible to reserve a stay. The place is totally private. The views from the house and from the various decks are spectacular. The kitchen is great. There are many parks close by for hiking, and there are great restaurants in the area if you are crazy enough to want to leave the property for a few hours. Some of the best wineries in California are a short drive away in Anderson Valley. The home was an amazing place for my girlfriend and I to getaway for our anniversary. It was expensive for us, but was well worth it. What a great place. To say this house was fabulous is an understatement. To say this house was fabulous is an understatement. The location was very private and pristine. Yet, it was just minutes away from anything you might want e.g. beaches, restaurants, shopping, site seeing, recreation, etc. The big beautiful trees surrounding the property, as well as the incredibly beautiful gardens with brilliant colorful flowers, were breathtaking. Wait, maybe I should save ‘breathtaking’ for the view! It was such an awe inspiring view, it took our breath away. You couldn’t ask for more magnificent grandeur in a view. The home was luxuriously furnished! The furnishings were so comfortable and so beautiful. The real-wood burning fireplaces in the living room and bedroom gave the home a wonderfully relaxed and cozy atmosphere. The skylights provided natural light throughout the house. Much of its ambiance is provided by the use of big glass windows throughout, top-lighting, and continuous skylights. The home was fully stocked with everything we could have possibly needed. The complimentary brandy awaiting our arrival, as well as the beautiful fresh flowers on the dining table, was a very special touch. It was a celebratory weekend for us – our 5th year anniversary. The staff left us a lovely ‘Happy Anniversary’ note taped to the door…so thoughtful! The staff were so cheerful and helpful, they were an absolute delight. Everything about our experience in this home was impeccable – it was sublime. This day forward we will be back every year to this very same spot, this most perfect place, to celebrate our anniversary again and again. Thank you Mendocino Preferred Team! a guest from Mill Valley, CA does not recommend this vacation rental. The location/view is breathtaking and unique. The living room is comfortable with lots of windows and light. There are no screens in doors/windows and the manager claimed there is no need. We like fresh air and had to chase out flies and moths. 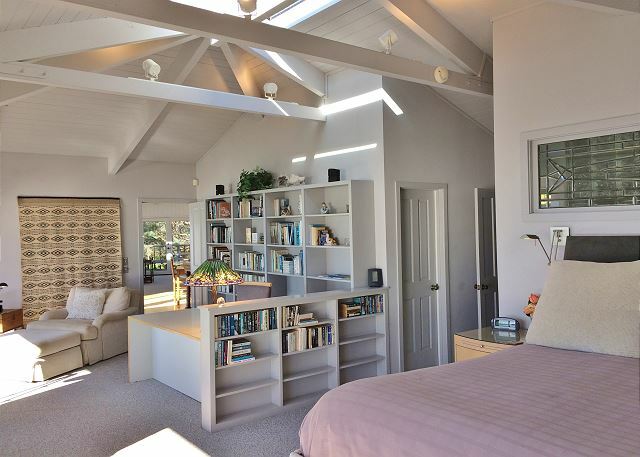 The shades in the bedroom are flimsy paper like and there is a large skylight on the ceiling. We like to sleep in and found the sunlight very disturbing at 6:30 a.m. The spa is outdated, with only one jet barely working and the water felt murky. The Duvet/blanket are dark gray, aged and of doubtful cleanliness. The online picture is old and misleading. I took pictures of the bedroom. The rental is in need of TLC and the manager promised to talk with the owners and maintenance company. My review is an accurate description. However, your rates astronomical and unjustified. The ultimate retreat and escape from ordinary. This is our 2nd year celebrating our anniversary at Ocean Splendor and we've loved it each time. The house is warm, inviting and very well equipped. We're making it a tradition. 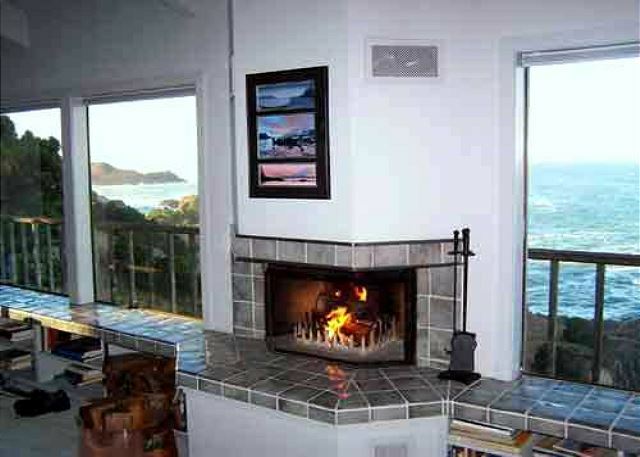 Ocean Splendor is the perfect spot for a couple to experience and enjoy the California coast, this was our third stay. 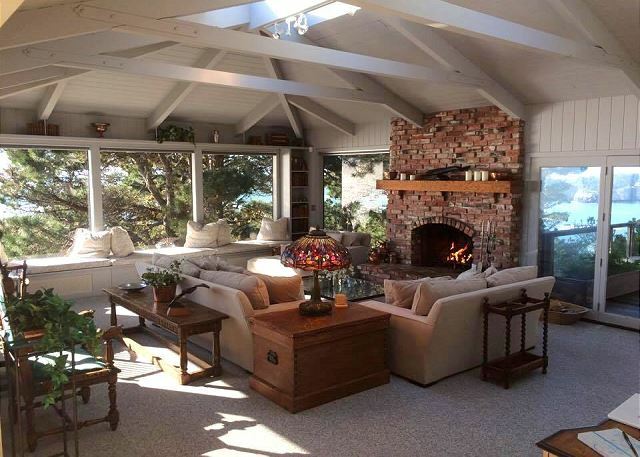 You can relax by the fireplace or watch the waves and sunset on the back deck. The location is great for coastal day trips and wine tasting in the Anderson valley. We stayed in and cooked for three nights, clam chowder and salad from the Market Basket, Hand Cut Filets from Roundman's meat market in Fort Bragg and the last meal we cooked was fresh Dungeness crabs, all with great wines from the Anderson valley. We finished the trip with a fantastic meal in Mendocino. We are already planning our next trip to Ocean Splendor and looking forward to another great time. Have stayed here many times. Always wonderful if you are looking for best views of the coast and ocean, absolute peace and quiet, and sculputured gardens, you can't match this home. Hot tub on the deck, fireplace in bedroom, your cell phone doesn't work! Great kitchen. Drive thru the gate into the entry & it is you, the estates' beauty, the coast and the quiet. Beautiful home. Very private. Very comfortable. For us, this was a luxury purchase and it was the best value in a vacation we've ever had. The house is elegant yet comfortable. The views are phenomenal, beyond 180' from the rocky coast to Little River Harbor. It was like being in someone's home. The property management company was friendly and helpful. The surrounding communities offer more things to do than we had time for, though we spent several days staying "home", as it was so wonderfully relaxing and beautiful. Fantastic. Can't wait to come back. Call me if the house ever goes up for sale. Absolutely stellar property. Everything about it was 5 star. The views, location , amenities were unparalleled .